JERICO-NEXT poster presentation at the 4th Blue Planet Symposium, 4-6 July 2018, Toulouse, France. Puillat I. * (LOPS-Ifremer, FR); Artigas L. F. & Louchart A (CNRS-LOG, FR); Creach V. (CEFAS, UK); Debusschere E. (VLIZ, B), Rijkeboer M. (RWS, NL); Marrec P. & Thyssen M. (CNRS-MIO, FR); Karlson B. (SMHI, SW) and JERICO-NEXT partners. JERICO-RI, the Joint European Research Infrastructure of Coastal Observatories integrates several observing platform types i.e. 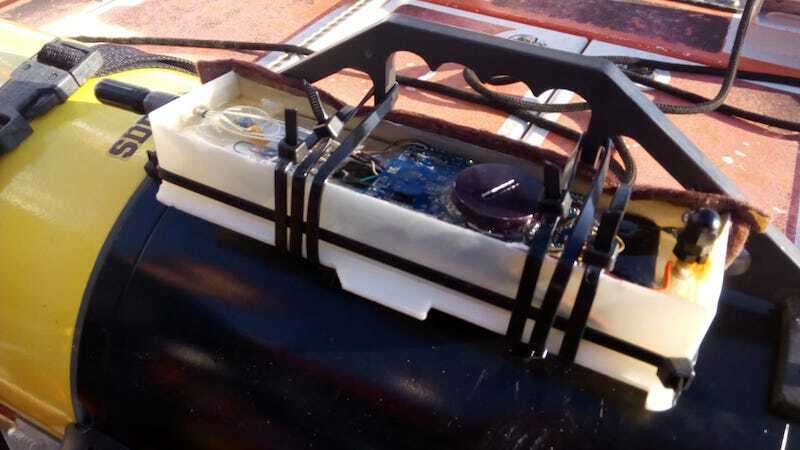 fixed buoys, piles, moorings, drifters, Ferrybox, gliders, HF radars, coastal cable observatories and the associated technologies dedicated to the observation and monitoring of the European coastal waters. 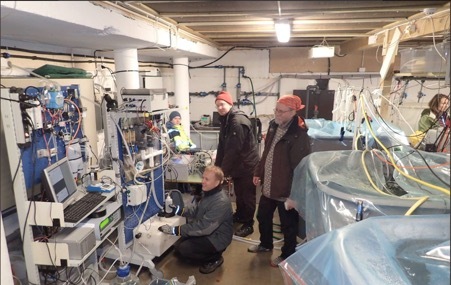 This observing system of systems, is designed to provide high-quality data that are supporting knowledge development on the complex and often coupled physical, chemical and biological processes characterizing the coastal waters of European coastal seas. The RI is to serve both the implementation of European marine policies and the elucidation of contemporary and future key scientific questions. It therefore includes observations of the physical, chemical and biological compartments and aims at a better integration of marine biology with physical and chemical oceanology. This poster is part of a 3-poster series dedicated to present some results and prototype products after deployments led in the JERICO-NEXT H2020 project. 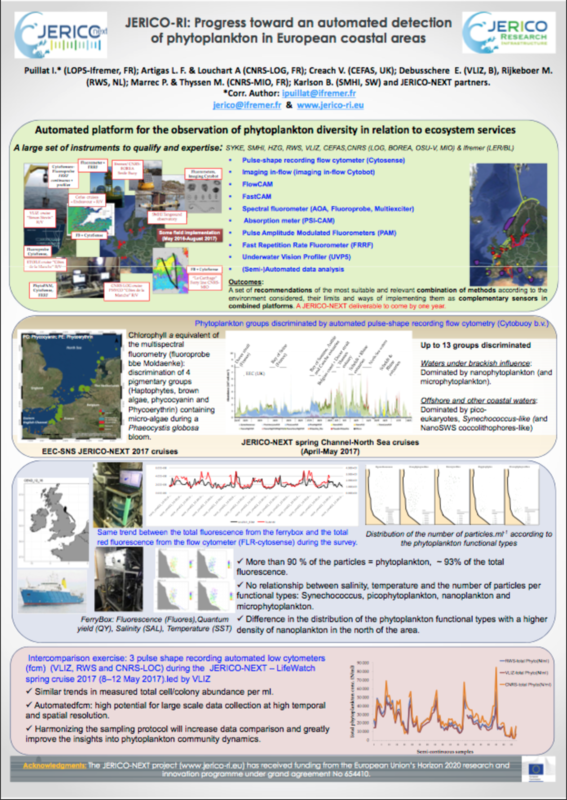 According to a key message of the JERICO-RI consortium (2014): “The complexity of the coastal ocean cannot be well understood if interconnection between physics, biogeochemistry and biology is not guaranteed…”, this poster we will focus on integrated biology and physical results. 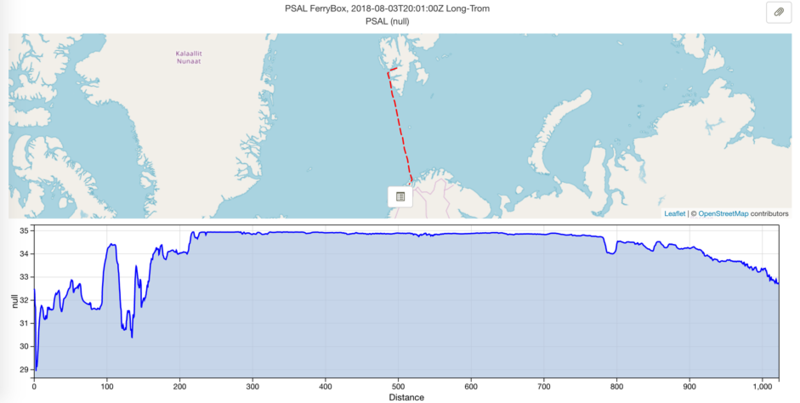 Map and transects of automated flow cytometer data and/or multi-spectral fluorometry along with hydrology collected thanks to ferryboxes and moorings will be presented with preliminary conclusions on information types and potential products. Areas of interest are Bay of Biscay, Channel-North-Sea, Celtic Sea and Baltic Sea with Skagerrak Kattegat strait.